This is a feel good story from the first page to the last. Ms. Martin without a doubt knows how to fill her stories full of laughter, quirky characters, ghosts, hidden treasurers, oogie monsters, curses and love. I laughed so much during this read; Ms. Martin has a way with humor and words. This is the story of Milly a woman full of life and loves all things Disney including castles, Princes, Princess, magic, and wishes. Her hair has pink ends and her shoes have sparkles. She investigates the origins of historical buildings and if they meet the requirements, her employer, Castle Heritage, will invest in restoring the building. Her job brings her into the world of Clover’s Rest, a quirky village of odd characters and beliefs, Cameron Heartstone, new owner of Clover Castle is desperately in need of repairs and a Castle with secrets. I laughed and laughed over the conversations with Lavender, Gladys, Constance; these little old ladies were a hoot. I thought I would laugh my head off reading about the Solstice Celebration Play and all those willies. Milly Rose and Cameron have an immediate attraction, after all, the first thing Cameron did was grab her breast trying to remove mud from her shirt. That’s just the start of the laughter in this story and situations these two get into so easily. I couldn’t stop reading as I had to know what they would do next or fall into, or trip over. Cameron has been bitterly bitten one time too many in the past, and he is fighting his attraction to Milly and to Milly Rose’s sweet wonderful personality. 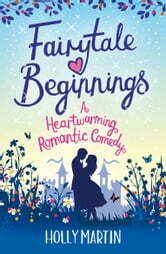 Milly’s forays into love were not much better than Cameron’s, she thinks happy ever after only happens in the movies. As in all fairy-tales there is a villain that causes all sorts of trouble and Ms Martin has one in this story. This story was a delight to read. Ms. Martin paced the story well and developed the story and characters nicely and brought a satisfactory end to the story. Ah love, who doesn’t love it. 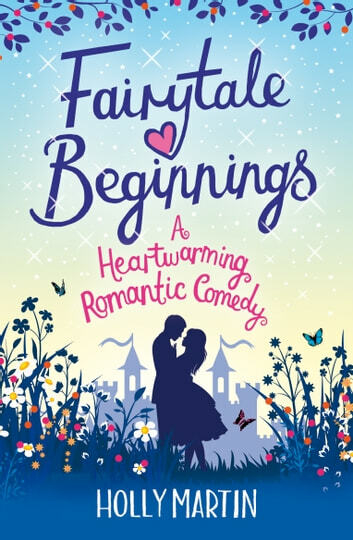 I would recommend this story to anyone that loves Disney stories, fairy-tale, or happy ever afters. This one will make your heart sing. I received this book from the publisher and Netgalley in return for an honest review. Holly's writing envelopes you like a duvet. Warm, comforting and dependable. You know with Holly that you're going to get a great story, well told. This is no exception. Absolutely loved this book, it was just one fairytale after another! The authors style is very easy to read and you feel connected to the characters. I would recommend not only this but also any of the other romance books written by Holly Martin. This books is as it says, a heartwarming romantic comedy. It's a light read and is very enjoyable. Obviously its not some amazing work of fiction but its a nice fairytale and kind hot... if ya know what I mean ;) Loved it and will for sure read more from her!